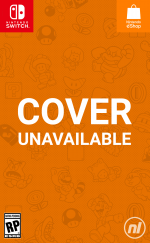 Prepare to have a lighter wallet, as it's another Nintendo Download Update in Europe. This week delivers some high profile retail games and some download-only gems on the Switch, while the 3DS has a huge retail release of its own. There's a lot to cover so let's get to it. 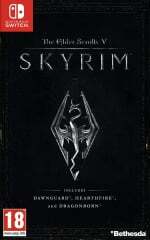 The Elder Scrolls V: Skyrim (Bethesda, €59.99 / £49.99) - A title that has been eagerly anticipated, bringing the remastered version of a gaming classic to Nintendo hardware for the first time. 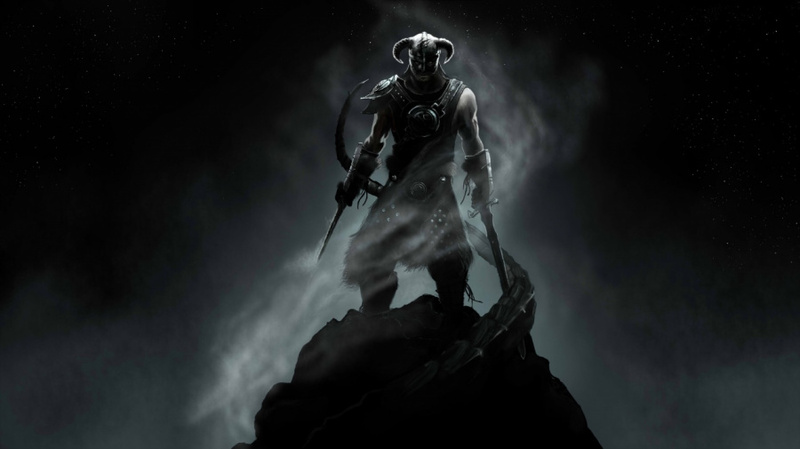 An enormous adventure with impressive independence and flexibility, it still stands up as a wonderful gaming experience; we get into detail in our Skyrim review. Available from 17th November. 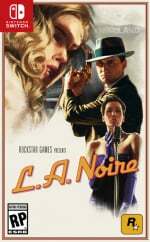 L.A. Noire (Rockstar Games, €49.99 / £44.99) - Another high profile arrive for Nintendo's system, in this case an inventive and critically acclaimed crime thriller from the last generation of consoles. Visually stunning when originally released, on Switch it includes all previous DLC, a 'Joy-Con' mode with motion controls, HR Rumble and some 'contextual touch controls'. We'll let you know what we think of this in a review. 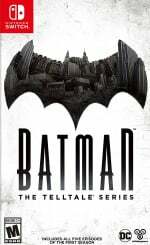 Batman - The Telltale Series (Telltale Games, €44.99 / £39.99) - The steady catch-up of Telltale games on Switch continues with this collection of the first Batman series. This will include five episodes as you alternate between the caped crusader and Bruce Wayne across the storyline. 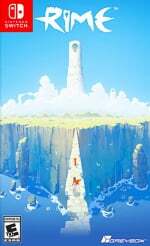 RiME (Grey Box, €34.99 / £29.99) - This one has had a long road to the Nintendo Switch, also due as a budget retail title in stores. It's a cerebral single player adventure in which you explore a mysterious island with a cute fox as a companion. We go over its pros and cons in our RiME review. 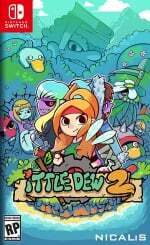 Ittle Dew 2+ (Nicalis, €29.99 / £26.99) - The Wii U had the original game in this series, so it's great to see the re-jigged sequel continue the run on Nintendo hardware. It's an overhead adventure/puzzle experience that draws comparisons to 2D Legend of Zelda games, but also very much goes its own way. 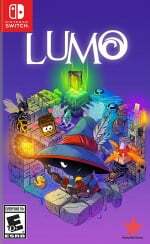 Lumo (Rising Star Games, €19.99 / £19.99) - This love letter to the popular isometric platformers from the '80s has received acclaim from many sources for its intuitive and engrossing play mechanics, visual style, irreverent humour and chilled out music. We'll let you know whether it's still magic on the Switch. 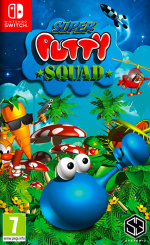 Super Putty Squad (System 3, €14.99 / £14.99) - A retro platforming experience remastered for modern systems (previously also on Wii U and 3DS), this features a protagonist that "can inflate, morph, stretch, punch, jump and absorb". In principle that sounds like rather good fun, so we'll hop into a review. 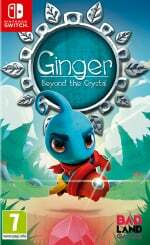 Ginger: Beyond the Crystal (Badland Games, €19.99 / £17.99) - Heavily inspired by the likes of Super Mario 64, Spyro, Zelda and Donkey Kong Country, this is a 3D platformer with 200 side quests, 15 bonus levels and plenty of enemies to face off against. We'll check it out in a review. Available from 17th November. 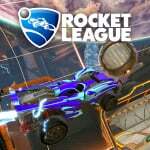 Rocket League (Psynonix, €19.99 / £15.04) - In coming to Switch the hugely popular driving / football / action title will be playable on the go for the first time, and on top of that there are a few unique cars and designs for the Nintendo system. We loved this in our Rocket League review. 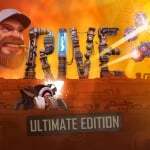 RIVE: Ultimate Edition (Two Tribes €12.74 / £11.46 until 30th November, then €14.99 / £13.49) - The final game from Two Tribes, it's an intense and attractive platforming shooter with smart controls and hacking mechanics. It finally arrives on Nintendo hardware with a co-pilot mode and 60fps performance; we're working on a review, but in the meantime you can check out our recent interview with Two Tribes. Available from 17th November. 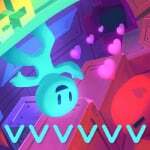 Vvvvvv (Nicalis, €9.99 / £8.99) - Originally developed by Terry Cavanagh, this was a title that was a bit of an early gem on the 3DS eShop, keeping us hooked with its deceptively simple visuals and tough puzzle platforming. As for what this Switch version will offer, Nicalis promises smooth 60fps gameplay and multiplayer. We'll check it out for review and let you know what we think. 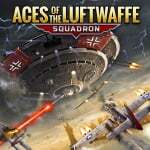 Aces of the Luftwaffe - Squadron (HandyGames, €14.99 / £13.49) - Somewhat different from the non 'Squadron' release previously seen on smart devices, this is a vertically scrolling shooter with an emphasis on local co-op play (though you can tackle it solo). We'll take to the skies for a review. 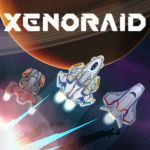 Xenoraid (10tons, €8.99 / £8.09 until 23rd November, then €9.99 / £8.99) - A shoot 'em up that aims to add its own spin with procedural levels, four fighters to choose from, 'tilt' aiming and accessibility for those that struggle with bullet-hell shooters. We'll dive in and let you know what we think in a review. Antiquia Lost (KEMCO, €12.99 / £11.69) - Having brought a range of RPGs to Wii U and 3DS, KEMCO is now stepping up its Switch output. It features a "half-slime heroine, Lunaria" that needs to find and eat gems, and it's a world with three tribes to discover and utilise. We expect relatively stock RPG action, but it'll be interesting to see whether this is an accomplished download-only effort. 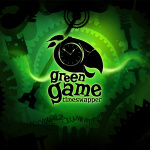 Green Game: TimeSwapper (iFun4all, €2.99 / £2.69) - This one is all about manipulating time to protect a flying bird, with the promise of a big challenge over 50 levels. Available from 17th November. 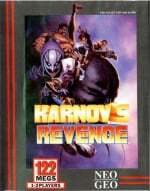 Karnov's Revenge (HAMSTER, €6.99 / £6.29) - A fighting game originally released in 1994, it showcases 13 different fighters - including the titular Karnov, who previously starred in his own 1987 arcade action title. We can expect the usual ACA feature to enjoy, too. Pokémon Ultra Sun and Ultra Moon (Nintendo, €44.99 / £39.99 each) - A title that's likely to drive plenty of interest in the 3DS over the festive period, these mid-gen entries may revisit a familiar land but nevertheless shake things up a fair amount. We get into what's new and why the additions are fantastic in our Pokémon Ultra Sun and Ultra Moon review. Available from 17th November. RTO (nuGAME, €8.99 / £7.99) - This appears to be a scrolling gallery shooter in which you control multiple characters to shoot a whole lot of scary aliens, though the developer describes it as an "FPS survival horror game with permadeath". Lots of goodies on offer this week - let us know what you'll be downloading in the poll and comments below. @Kiz3000 BLACK FRIDAY IS AMERICAN! @Kiz3000 Google claims that Black Friday is supposedly next week. Already picked up Rocket League and I'm getting more and more tempted by LA Noire so might crack if I see a good price for cartridge online. @nhSnork @Bunkerneath True that, but the UK seems to have adopted now into the retail calendar. Good point about BF being next Friday. In the UK the Black Friday sales have already started, yes retailers do not understand it over here, and so I assumed it was this Friday, ie tomorrow. Whoops. I thought Black Friday was typically the day after Thanksgiving? @Bunkerneath So is halloween and yet its an international holiday now. Rocket League, VVVVVV and half of L.A. Noire. Didn't realise Portal Knights was due soon... SMH. On another note is that Antiquia Lost equivalent to micro transactions for mobile? ie you pay for something that gives you a boost for a certain amount of time. It appears to be titled that way. @Kiz3000 Just had a look at the descriptions on the eShop and it looks like you're just straight up paying for experience points. It may be completely optional but just the existence of that type of thing is a huge deterrent for me. @BenAV @Kiz3000 I think item-based stat grinding is much older than any microtransactions. @nhSnork I'm still not supporting a game that wants me to pay for that sort of thing regardless. @Bunkerneath @Kiz3000 @crackafreeze According to Amazon UK the black friday sale is tomorrow (17th November) only. @PAL_VERSION For all intended purposes, Halloween is more American than apple pie. @BenAV @nhSnork Its a scummy tactic but seems a lot of JRPGs have that crap nowadays. Most of the PS4 ones do and its disgusting considering how quick it is to earn ingame. @GC-161 haha.. the many countries that celebrated it before America was even "discovered" might disagree. £15.04 for Rocket League must be one of the most random downloadable game prices I've ever seen haha. Wonder why the four pence. @PAL_VERSION Disagree they can. That doesn't mean America does not own that holiday at present. Which is what I was referring to. @GC-161 Halloween is most certainly not a holiday in England. I wish it was though. @darthstuey Yep. It's mostly big in America. Another great week to save money. These will probably be the norm for me from now on. Holey-Moley that discount on NBA 2K18. I won't be an early adaptor next year!!! I'm guessing we'll get a Black Friday sale next week since the sales are so barren. American, just so you know. Goes back to the Middle Ages all around Europe, with recipes dating back at least as far as Chaucer's day in England. @Krull "More American than apple pie"
I want VVVVV on the big screen, so glad it's come to Switch. Liking the Wonderboy discount too. I do want Ultra Sun but haven't played the first game yet. @BenAV makes you pay for what? From what I hear, gems are looted through scavenging. Even the freemium Android version emphasizes in description that you can play the entire game without IAPs, and Switch ports of mobile games usually ditch them completely anyway; just look at Gear.Club. 45 euro for Batman!? Like, just the first season!? That's over twice as much for the game on other consoles! You can get it for 7 euro on Humble Store right now! @dystome I've already seen the retail version of that MX game in various shops across Germany, so fret not: It's been released.